731 Walnut Avenue was built in 1901 for $3,000 by Hiram M. Barton as a wedding gift for his niece Mary Barton Ruggles and her husband Fred. The turn of the century saw the evolvement of a new architectural style, the Craftsman Bungalow. This home falls into that category, but because it is early in the development of the style, it still shows some features from the previous predominant style, Classic Box. 731 Walnut is a box shaped plan with a hipped roof, both typical of the Classic Box Style. The front roofline is broken only by a single gable which features a decorative bargeboard reminiscent of a Swiss chalet, a design influence on Craftsman Bungalows. The gable end is constructed of lattice work and is flanked by two posts. The house is approached by a straight concrete walkway and stairs which lead to a single paned wood front door with wood lattice over the glass. This feature recurs in other windows throughout the home, often as part of what is known as a series of ribbon windows. Another Classic Box feature is the boxed eaves. A Craftsman Bungalow feature is the use of wood shingle siding. Two brick chimneys are still visible at the roofline. 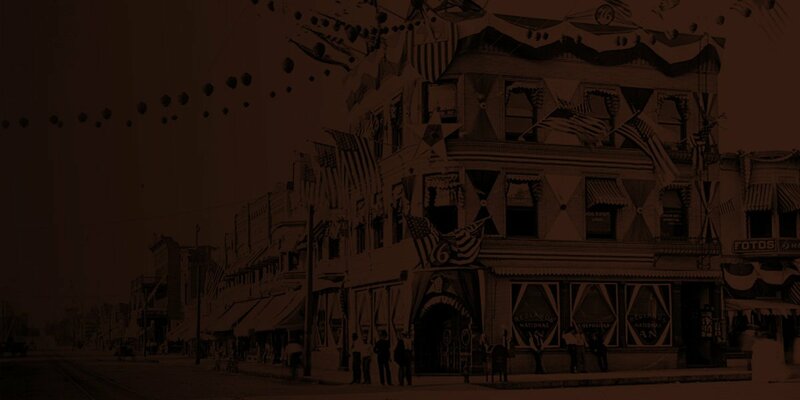 Later, Mary Ruggles married Herbert A. Hargraves who was an assistant manager of the Redlands Daily Facts. When he died in July 1937, he had worked for the Redlands Daily Facts for 47 years. Mary lived in the house until her death in 1964 at age 84. In the late 1960’s, the home was purchased from the Mary Barton Hargraves’ estate by Mr. and Mrs. Oscar Verley for about $12,000 and they made it their home for over 35 years. In 2004, Dave and Marsha Veiga bought the property. They have meticulously restored both interior and exterior of the home. 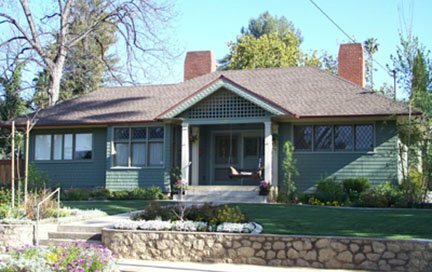 The Redlands Area Historical Society congratulates the Veiga’s for their stewardship of this historic home and presents them the 2008 Heritage Award.